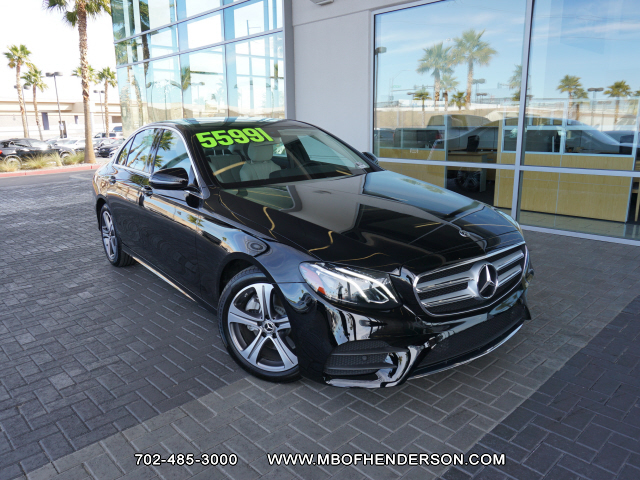 Mercedes-Benz of Henderson makes leasing a new vehicle easy, rewarding, and exciting! Here, you’ll find lease specials on popular models, such as the C-Class, E-Class, and GLA. If you’re looking for a reasonably priced work van, you can also find offers on the Mercedes-Benz Sprinter and Metris—two of the hardest working commercial vehicles in the industry. Need to get behind the wheel to make a decision? Schedule a test drive near Green Valley and Anthem! 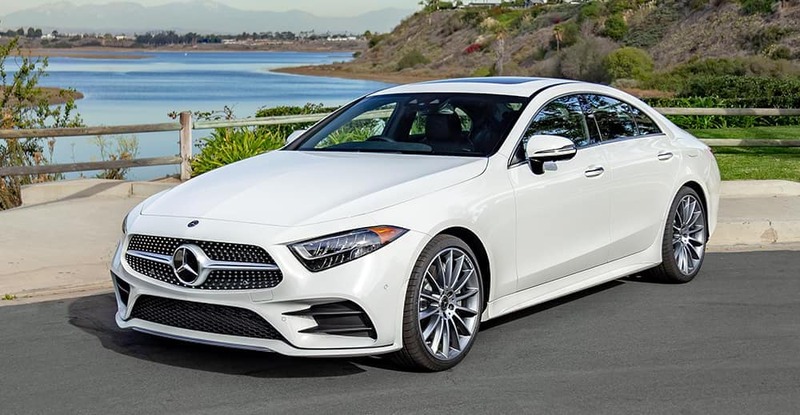 Available only to qualified customers at Mercedes-Benz of Henderson through Mercedes-Benz Financial Services (where applicable to advertised lease) through April 30th, 2019. All lease offers are 10K miles per year with an excess mileage charge of .25 cents per mile. Advertised lease rate of MY19 A220W with MSRP of $34,045.00 based on a gross capitalized cost of $33,295.00. Total monthly payments equal $12,924.00 on 36-month lease. $3,953.00 cash due at signing includes $2,499.00 capitalized cost reduction, $1,095.00 acquisition fee, and first month's lease payment of $359.00. Total payments equal $16,518.00. Residual value at lease end equals $20,427.00. Includes destination charge. Excludes title, taxes, registration, license fees, insurance, any finance charges, any emission testing charge, dealer prep. and additional options. Subject to credit approval. No security deposit required. See dealer for details. 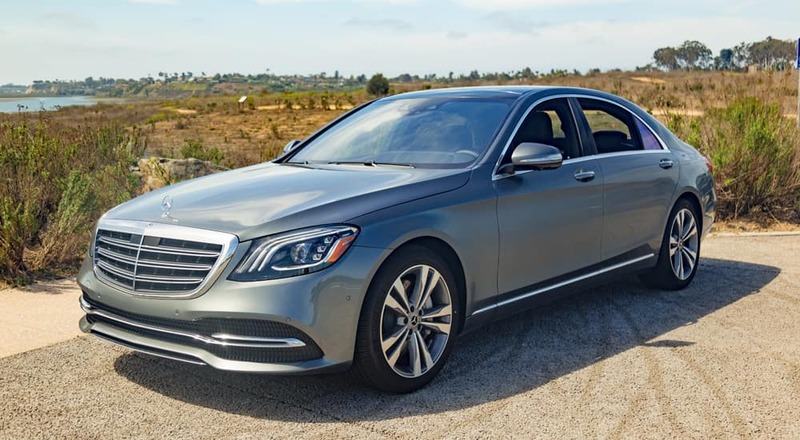 Available only to qualified customers at Mercedes-Benz of Henderson through Mercedes-Benz Financial Services (where applicable to advertised lease) through April 30th, 2019. All lease offers are 10K miles per year with an excess mileage charge of .25 cents per mile. 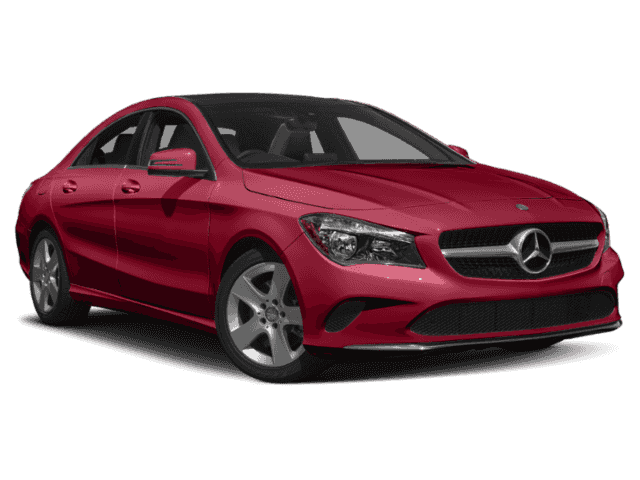 Advertised lease rate of MY19 CLA 250C with MSRP of $35,895.00 based on a gross capitalized cost of $34,896.00. Total monthly payments equal $12,564.00 on 36-month lease. $4,097.00 cash due at signing includes $2,653.00 capitalized cost reduction, $1,095.00 acquisition fee, and first month's lease payment of $349.00. Total payments equal $16,312.00. Residual value at lease end equals $20,460.00. Includes destination charge. Excludes title, taxes, registration, license fees, insurance, any finance charges, any emission testing charge, dealer prep. and additional options. Subject to credit approval. No security deposit required. See dealer for details. Available only to qualified customers at Mercedes-Benz of Henderson through Mercedes-Benz Financial Services (where applicable to advertised lease) through April 30th, 2019. All lease offers are 10K miles per year with an excess mileage charge of .25 cents per mile. Advertised lease rate of MY19 GLA 250W with MSRP of $36,745.00 based on a gross capitalized cost of $35,346.00. Total monthly payments equal $13,644.00 on 36-month lease. $4,027.00 cash due at signing includes $2,553.00 capitalized cost reduction, $1,095.00 acquisition fee, and first month's lease payment of $379.00. Total payments equal $17,292.00. Residual value at lease end equals $20,577.00. Includes destination charge. Excludes title, taxes, registration, license fees, insurance, any finance charges, any emission testing charge, dealer prep. and additional options. Subject to credit approval. No security deposit required. See dealer for details. Available only to qualified customers at Mercedes-Benz of Henderson through Mercedes-Benz Financial Services (where applicable to advertised lease) through April 30th, 2019. All lease offers are 10K miles per year with an excess mileage charge of .25 cents per mile. Advertised lease rate of MY19 C 300W with MSRP of $43,995.00 based on a gross capitalized cost of $41,896.00. Total monthly payments equal $15,444.00 on 36-month lease. $4,523.00 cash due at signing includes $2,999.00 capitalized cost reduction, $1,095.00 acquisition fee, and first month's lease payment of $429.00. Total payments equal $19,538.00. Residual value at lease end equals $25,517.00. Includes destination charge. Excludes title, taxes, registration, license fees, insurance, any finance charges, any emission testing charge, dealer prep. and additional options. Subject to credit approval. No security deposit required. See dealer for details. Available only to qualified customers at Mercedes-Benz of Henderson through Mercedes-Benz Financial Services (where applicable to advertised lease) through April 30th, 2019. All lease offers are 10K miles per year with an excess mileage charge of .25 cents per mile. Advertised lease rate of MY19 GLC 300W with MSRP of $42,945.00 based on a gross capitalized cost of $41,076.00. Total monthly payments equal $17,244.00 on 36-month lease. $4,573.00 cash due at signing includes $2,999.00 capitalized cost reduction, $1,095.00 acquisition fee, and first month's lease payment of $479.00. Total payments equal $21,338.00. Residual value at lease end equals $23,620.00. Includes destination charge. Excludes title, taxes, registration, license fees, insurance, any finance charges, any emission testing charge, dealer prep. and additional options. Subject to credit approval. No security deposit required. See dealer for details. Available only to qualified customers at Mercedes-Benz of Henderson through Mercedes-Benz Financial Services (where applicable to advertised lease) through April 30th, 2019. All lease offers are 10K miles per year with an excess mileage charge of .25 cents per mile. Advertised lease rate of MY19 SLC 300R with MSRP of $52,745.00 based on a gross capitalized cost of $51,446.00. Total monthly payments equal $20,844.00 on 36-month lease. $5,173.00 cash due at signing includes $3,499.00 capitalized cost reduction, $1,095.00 acquisition fee, and first month's lease payment of $579.00. Total payments equal $25,438.00. Residual value at lease end equals $29,537.00. Includes destination charge. Excludes title, taxes, registration, license fees, insurance, any finance charges, any emission testing charge, dealer prep. and additional options. Subject to credit approval. No security deposit required. See dealer for details. Available only to qualified customers at Mercedes-Benz of Henderson through Mercedes-Benz Financial Services (where applicable to advertised lease) through April 30th, 2019. All lease offers are 10K miles per year with an excess mileage charge of .25 cents per mile. Advertised lease rate of MY19 E 300W with MSRP of $54,495.00 based on a gross capitalized cost of $51,996.00. Total monthly payments equal $21,204.00 on 36-month lease. $5,193.00 cash due at signing includes $3,509.00 capitalized cost reduction, $1,095.00 acquisition fee, and first month's lease payment of $589.00. Total payments equal $25,808.00. Residual value at lease end equals $31,607.00. Includes destination charge. Excludes title, taxes, registration, license fees, insurance, any finance charges, any emission testing charge, dealer prep. and additional options. Subject to credit approval. No security deposit required. See dealer for details. 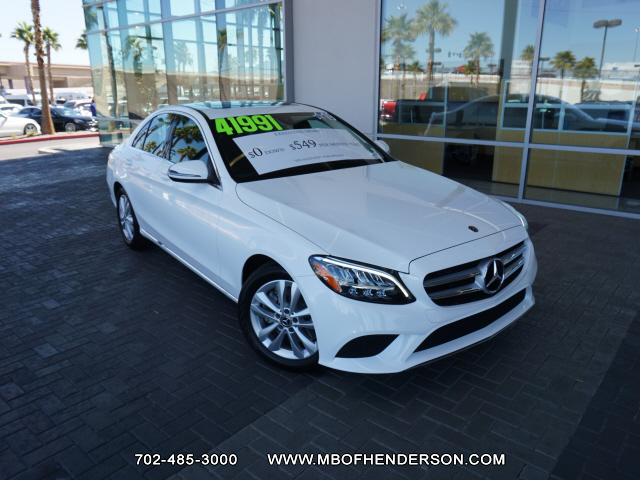 Available only to qualified customers at Mercedes-Benz of Henderson through Mercedes-Benz Financial Services (where applicable to advertised lease) through April 30th, 2019. All lease offers are 10K miles per year with an excess mileage charge of .25 cents per mile. Advertised lease rate of MY20 GLE 350W4 with MSRP of $59,895.00 based on a gross capitalized cost of $59,126.00. Total monthly payments equal $25,164.00 on 36-month lease. $5,093.00 cash due at signing includes $3,299.00 capitalized cost reduction, $1,095.00 acquisition fee, and first month's lease payment of $699.00. Total payments equal $29,558.00. Residual value at lease end equals $35,937.00. Includes destination charge. Excludes title, taxes, registration, license fees, insurance, any finance charges, any emission testing charge, dealer prep. and additional options. Subject to credit approval. No security deposit required. See dealer for details. Available only to qualified customers at Mercedes-Benz of Henderson through Mercedes-Benz Financial Services (where applicable to advertised lease) through April 30th, 2019. All lease offers are 10K miles per year with an excess mileage charge of .25 cents per mile. Advertised lease rate of MY19 GLS 450W4 with MSRP of $74,975.00 based on a gross capitalized cost of $71,329.00. Total monthly payments equal $30,204.00 on 36-month lease. $7,143.00 cash due at signing includes $5,209.00 capitalized cost reduction, $1,095.00 acquisition fee, and first month's lease payment of $839.00. Total payments equal $36,508.00. Residual value at lease end equals $40,487.00. Includes destination charge. Excludes title, taxes, registration, license fees, insurance, any finance charges, any emission testing charge, dealer prep. and additional options. Subject to credit approval. No security deposit required. See dealer for details. Available only to qualified customers at Mercedes-Benz of Henderson through Mercedes-Benz Financial Services (where applicable to advertised lease) through April 30th, 2019. All lease offers are 10K miles per year with an excess mileage charge of .25 cents per mile. Advertised lease rate of MY19 CLS 450C with MSRP of $71,695.00 based on a gross capitalized cost of $70,696.00. Total monthly payments equal $32,364.00 on 36-month lease. $6,293.00 cash due at signing includes $4,299.00 capitalized cost reduction, $1,095.00 acquisition fee, and first month's lease payment of $899.00. Total payments equal $37,758.00. Residual value at lease end equals $38,715.00. Includes destination charge. Excludes title, taxes, registration, license fees, insurance, any finance charges, any emission testing charge, dealer prep. and additional options. Subject to credit approval. No security deposit required. See dealer for details. 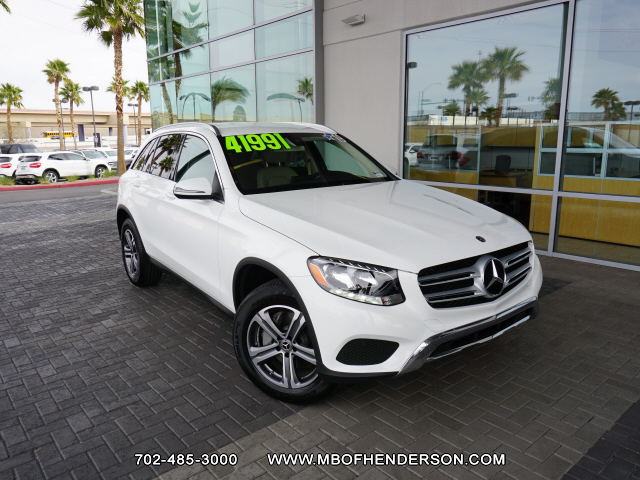 Available only to qualified customers at Mercedes-Benz of Henderson through Mercedes-Benz Financial Services (where applicable to advertised lease) through April 30th, 2019. All lease offers are 10K miles per year with an excess mileage charge of .25 cents per mile. Advertised lease rate of MY19 S560V with MSRP of $107,345.00 based on a gross capitalized cost of $104,296.00. Total monthly payments equal $52,884.00 on 36-month lease. $9,063.00 cash due at signing includes $6,499.00 capitalized cost reduction, $1,095.00 acquisition fee, and first month's lease payment of $1,469.00. Total payments equal $60,478.00. Residual value at lease end equals $51,526.00. Includes destination charge. Excludes title, taxes, registration, license fees, insurance, any finance charges, any emission testing charge, dealer prep. and additional options. Subject to credit approval. No security deposit required. See dealer for details. If you’re ready to start the leasing process, complete our online pre-approval application!